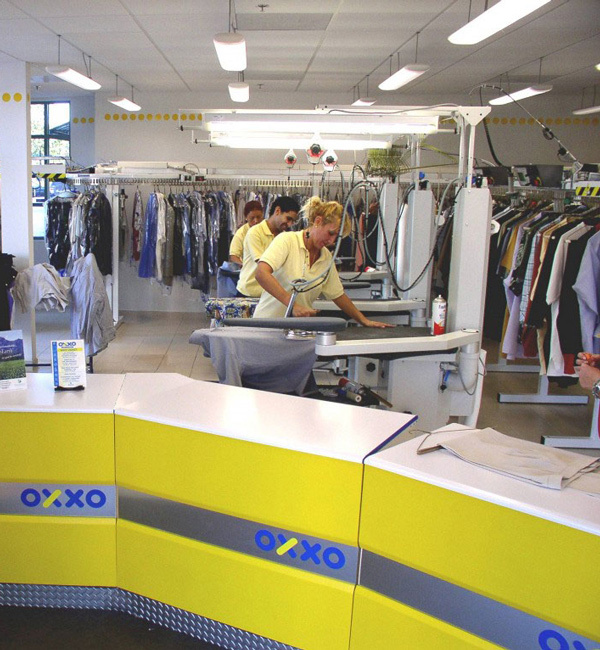 Experience the ultimate in garment care with OXXO’s detailed method of hand–ironing, as well as the latest, most technologically advanced European manufactured garment care equipment. Clothing is cleaned correctly the first time and personally inspected by a garment care specialist to ensure superior handling and meticulous attention to detail. Enjoy the convenience of round-the-clock service. Drop off items through a secure drop box 24-hours a day. At pick-up, just swipe or scan your exclusive OXXO debit card to retrieve finished garments through the Automatic Retrieval Machine. Besides providing quality service with convenience, OXXO’s environmentally safe GreenEarth solvent provides cost-effective and non-toxic garment care that doesn’t harm you, your clothing, or the environment.